Retirement News > Medicare and Health Insurance > Articles > How to Plan for Healthcare Costs in Retirement: How Much Do You Need in 2016? How to Plan for Healthcare Costs in Retirement: How Much Do You Need in 2016? Retirement planning is hard. You have to account for 20-30 years of expenses that are difficult to predict and make sure you have enough money to pay for them. How to plan for healthcare costs in retirement is particularly challenging. These costs continue to rise and it is difficult to know what kind of care you will require and how much that will cost. Today’s retirees will need an average of $130,000 for health care alone in retirement. For women, that number is more like $135,000 and for men, it’s about $125,000. The difference accounts for the fact that statistically, women live longer than men. When you are figuring out how to plan for healthcare costs in retirement, you need to consider the possibility that you will require long term care. The estimated average of $130,000 for healthcare costs does not include other high-priced services many retirees require such as long-term care, home health care or nursing homes. Yes, long-term care insurance is an option, but a couple in retirement would need to pay another $130,000 for a policy offering an inflation-adjusted $8,000 per month long-term care policy, Fidelity estimated. Why is Retirement Healthcare Increasingly Expensive? The high cost of health care is mostly attributed to the rising prices for prescription drugs. Pharmaceutical prices have increased 9.8% in the last year, but food and alcohol prices have only risen by 2.8% in the same time frame, according to data cited by the Wall Street Journal. Since 2011, pharmaceutical prices have been driven up by 98.2%, according to the Express Scripts Drug Trend Report 2015. There has been much scrutiny of the drug companies and frustration at the businesses behind the hiking prices. One person that became the face of this growing issue was Martin Shkreli when his company increased the price of a lifesaving AIDS and cancer drug from $13.50 to $750 per pill in September. But because the majority of the prescription medications for retirees are vital to their health, protesting Big Pharma isn’t necessarily helping. HIgh-deductible health insurance plans also make the situation worse as patients with those plans are usually required to pay the full amount of the prescription prices. One way to combat the drug prices is to stop all of the mergers in the pharmaceutical and biotechnology industry, some experts believe. The reason for this is that under normal conditions, companies are essentially competing against one another and are earning normal profits. This competition would, in turn, keep prices lower, explains a recent report by Forbes. Though $260,000 (per couple) — plus potential long-term care costs — may seem out of reach for many people in the middle class, there are some strategies that can help you get where you need to be to ensure you are as prepared as possible for retirement. Have a Good Overall Retirement Plan: The more detailed your retirement plan, the better and more confident you will feel about your golden years. The NewRetirement retirement calculator makes it easy to create a thorough and personalized plan. And, in terms of healthcare, the system builds these costs into the projections and lets you customize your approach. Supplemental Insurance: One strategy to utilize may be to get the right Medicare supplemental insurance plan. The program is complicated and has the potential to lead to a lot of confusion, but with professional advice, you may find the right solution for your situation. It is also important to evaluate your coverage every year since policies can change and your health needs also evolve. You can compare supplemental Medicare policies here. Make Trade-Offs: There are also other creative strategies that could maximize income later in life when health care costs tend to rise. If you can hold out on taking Social Security right when you turn 62, for example, you will be able to receive greater benefits the longer you wait. The additional monthly income could go toward funding healthcare. Use the NewRetirement retirement calculator to try different scenarios. 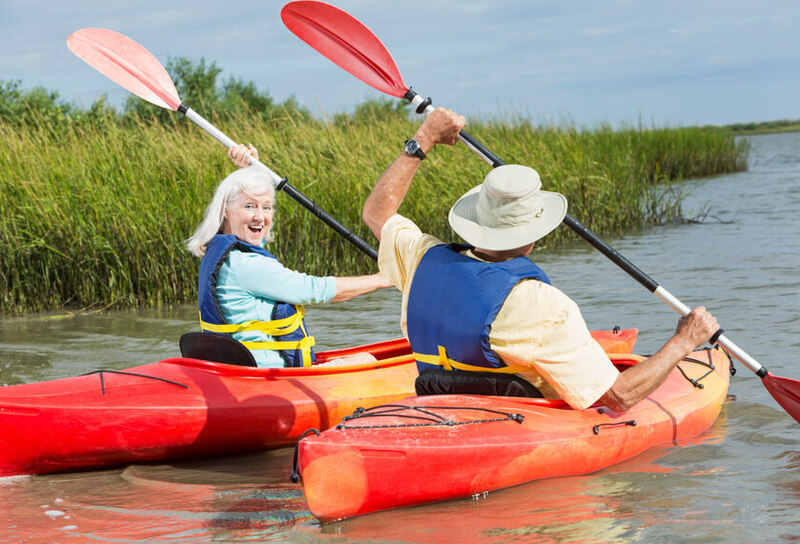 Stay Healthy: Medicare actually has quite a few perks to help you stay healthy. Free flu shots, good preventative care and help for healthy living are all part of your coverage. Get Creative with Funding Long Term Care: Insurance is only one option for funding long-term care. Once you have entered your information and got an initial analysis of your retirement plan, The NewRetirement calculator allows you to try out different ways of funding the care. It can be interesting to compare your options.